You can taste Tosatsuru, TOSATSURU SAKE BREWING CO.,LTD. from Kochi prefecture, and Koshi no Homare, Hara Shuzo from Niigata prefecture. TOSATSURU SAKE BREWING is located near the Muroto Cape, the largest brewery in Kochi prefecture. A clear stream Yasuda Riversmall runs by near the brewery, the well water which is in the site of the brewery is hard and contains well-balanced mineral. In the Annual Japan Sake Awards, they have won total 45 times since 1965 and the highest number of Gold in Japan. The highest point of the sake master’s art. Enjoy the full aroma & rich taste of Daiginjo to your hearts content. The sake is made with utmost care under the close attention of their sake master (Toji), and the rice grains are polished down to less than 40% of their original size, all to create this delightfully refined & involving sake. Tosatsuru Ginjo Azure is a new generation smooth sake made from “Kaiyoushinsousui” (Deep ocean water). This water contains less chemicals and germs than ocean surface water (because there is no sun light down there, bacteria cannot survive) resulting in a pure, clean-tasting sake with exceptional freshness. Tosatsuru Azure has a fruity Ginjo fragrance of ripe pears, a refreshing and clean palate, and a lengthy dry finish with a fair amount of acidity. At the time Hara Shuzo brewery was founded in the late Edo period (1814), Kashiwazaki was flourishing as a Shukuba (station town) on the Hokkoku Kaido expressway and also as a maritime town by the Sengoku ships. Because of this, the elegance and refinement of the city’s culture was infused into this place and the unique culture bloomed. With the nature’s blessings and the rich culture of the area, the taste of our sake has been inevitably refined. Kashiwazaki’s nature, humanity, and culture are all brewed in the barrels of sake produced here. In the 200 yeas since the city’s creation, they have slowly been improving the flavor of our sake, and they have never stopped brewing this sake that people have loved for a long time. The event that we can’t forget when introducing Hara Shuzo is the Chuetsu Offshore Earthquake that occurred on July 16, 2007. As a result of the earthquake, major damage occurred leaving over 70% of the company’s buildings collapsed. Five cellars were completely destroyed—the walls fell off, the pillars broke, the tiled roof caved in, and around 200 of the 300 sake tanks were buried under the roof. The very next day, the removal of 10,000 bottles of sake started, and the liquor storage tank was rescued from the debris. In the middle of August, the bottling line was started up again, in September the first bottles of sake were ready, and in October they were shipped out. The outcome of the earthquake was not pretty, but everything was able to return back to normal two and a half months later. In 1972, when Japan was normalizing its diplomatic relations with China, their sake “Koshi no Homare: Morohaku” whose quality was spoken highly of by the then Prime Minister, Kakuei Tanaka, was chosen as a toast of the memorial dinner party in Beijing. Koshi no Homare served as a representative of the national liquor of Japan. You can taste flower yeast sake. Yeast is essential in sake brewing. 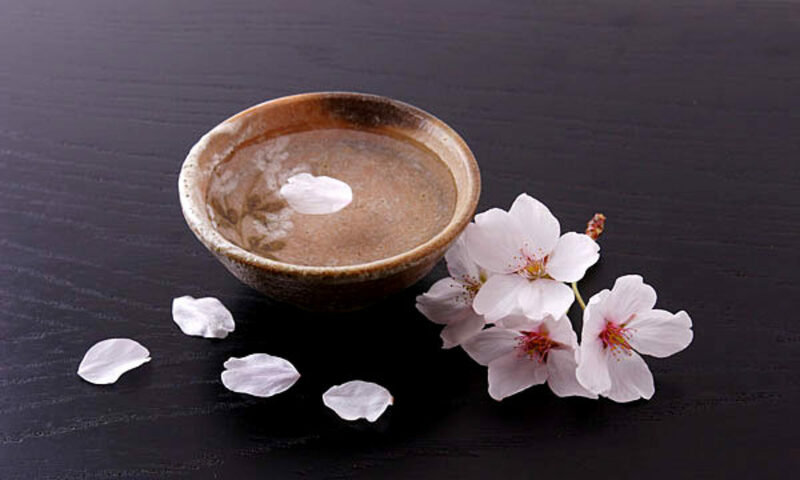 Although yeast is the general name for the microorganism that serves a vital role in producing alcoholic fermentation, the type of yeast typically used in sake brewing is sake yeast, which is cultured from a strain extracted from sake mash. However, some breweries use flower yeast, a type of yeast that has been extracted from flowers. Flower yeasts are full of individuality, and each type of flower yeast has its own, clearly distinct flavor and aroma, such as the fruity and sharp profile of abelia, or the sophisticated fragrance and robust flavor of marigold that create a profile perfectly suited for warmed sake. Awarded a Gold medal in the Junmai Daiginjo & Junmai Ginjo category at the Kura Master 2018. Amabuki Junmai Daiginjo White is made by yeast from Mirabilis jalapa, also known as the four-o’clock plant or Marvel of Peru. If your student, bring your students ID, you will get ¥2,000 back.